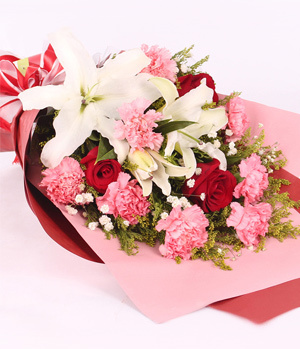 Mixed hand bouquet includes 8 pink carnations, 2 stalks white perfume lilies and 3 stem red roses for express affection like the root and the green leaves. 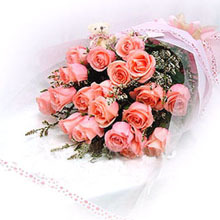 I've ordered from ChinaFlower214 before and had a great experience. 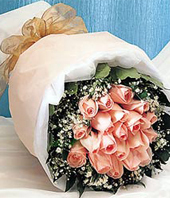 The flowers that arrived were gorgeous, stayed perky for a surprising amount of time, and I was very satisfied with the purchase. 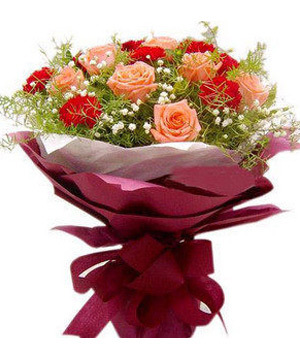 However, this time, the red roses that came were already brown upon arrival. Less than 2 days later, they are also wilting faster than I've ever seen any roses wilt. It was definitely not a fresh batch of flowers. 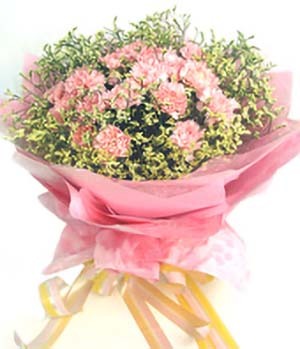 The service was quick and pleasant on the website end, and I was intending to use this site every Mother's Day, but with the quality this time around, how can I be sure that future orders won't be just as disappointing? 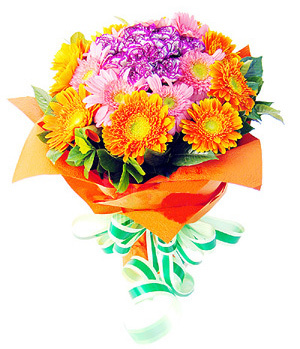 There's no reason for paying a premium price for brown flowers. 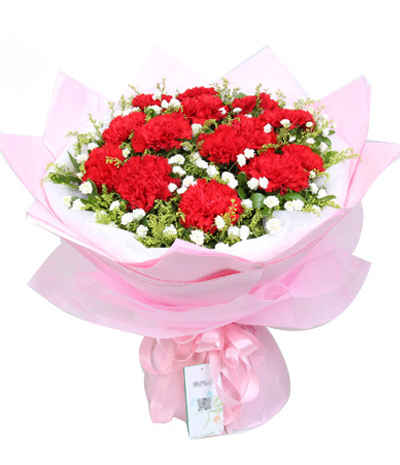 If it's a problem on the local florist end, a thorough quality check should be done to make sure that fresh flowers are being sent out using the ChinaFlower214 name.